35g bar. Also available in a 90g bar. 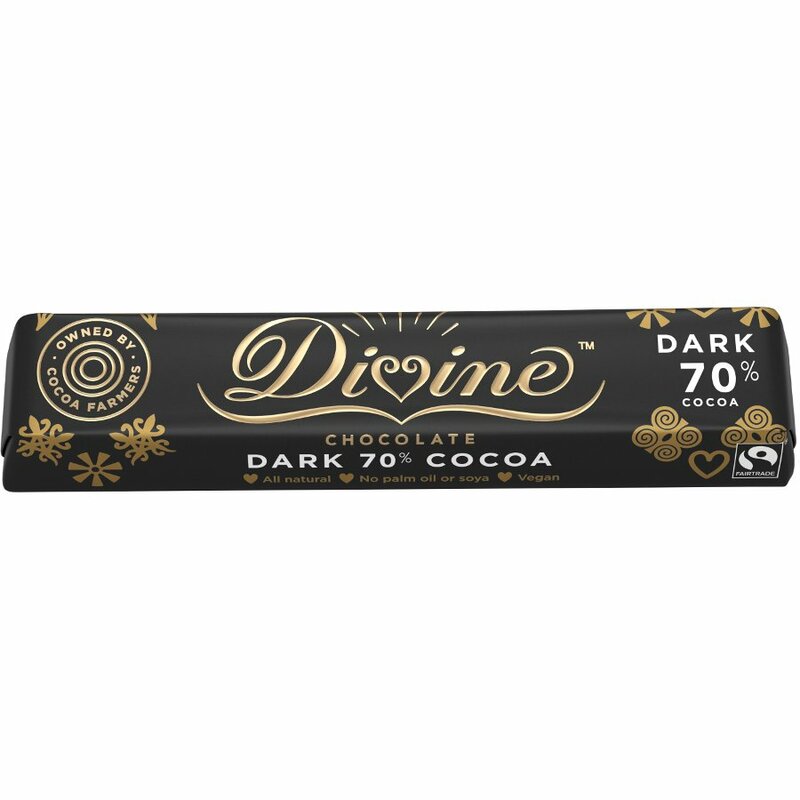 There are currently no questions to display about Divine 70% Dark Chocolate Small Bar.